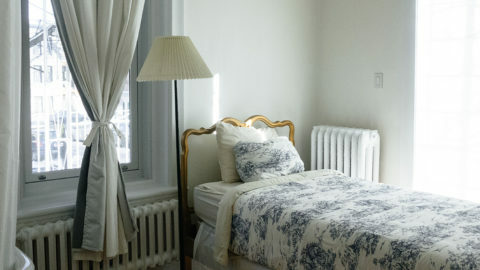 Did you know there are projects you can tackle to make sure your pet feels a part of the family without compromising your home’s style and decor? These five brilliant projects allow pet owners to weave their pet’s everyday essentials right into the decor, leaving their home gorgeous and making your pets feel right at home! Behind those gorgeous doors, there is a kitty litter that no one needs to know about except for you and the cat. We all know kitty litter can be gross to look at and having this necessity out in the open in your home is no way to greet guests… or live! This DIY Kitty Litter door allows your cat’s litter to be available to him or her without being an eyesore for everyone else. If you have dogs around, you’re bound to have a bowl of water and food not too far away. Having these bowls available for your four-legged friend is essential, but who says that it can’t be stylish too? This tutorial from Yellow Brick Home provides step-by-step instructions to help you mount those bowls so they look like they are a stylish and intentional part of your kitchen’s decor. How distinguished! Have you ever thought about giving your cat an all-access pass to your backyard to explore the outdoors… all while staying safe? 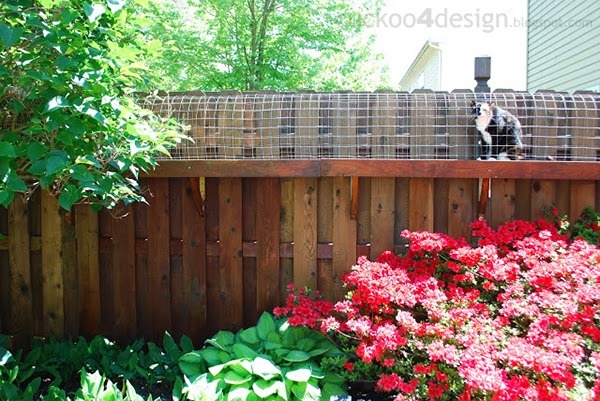 This DIY cat enclosure links your house to your backyard and allows your cat to come and go whenever it pleases. As far as we’re concerned, it’s a pretty genius way to allow your cats to enjoy some fresh air while keeping your peace of mind. This tutorial provides detailed information on how to build your very own cat enclosure without even disrupting the design of your backyard. 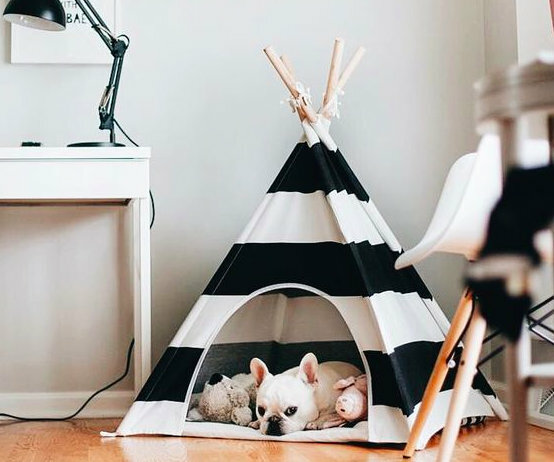 How adorable is this teepee? 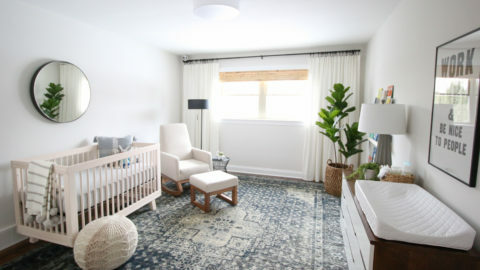 Teepees like this are available for sale at several big box stores (like Target or Pottery Barn Kids), but you can also DIY one using this tutorial. Not only can you personalize this adorable space to fit your home’s decor, but it will serve as a great place to corral all of your pet’s toys too. 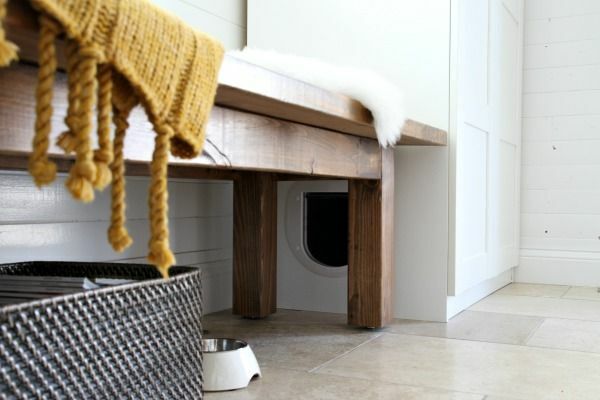 A private and pretty place for your pet to retreat and relax in? Sounds like a win-win to us! Doggie beds are also an essential for pet owners to add to their home, but there aren’t many stylish options for these must-haves. 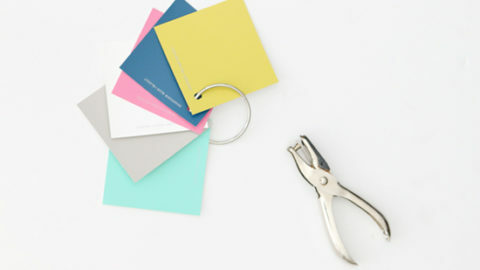 So why not make your own with the fabric of your choice? This tutorial provides instructions on how to make a DIY dog bed that fits your doggie’s specific needs while also blending into your decor beautifully! 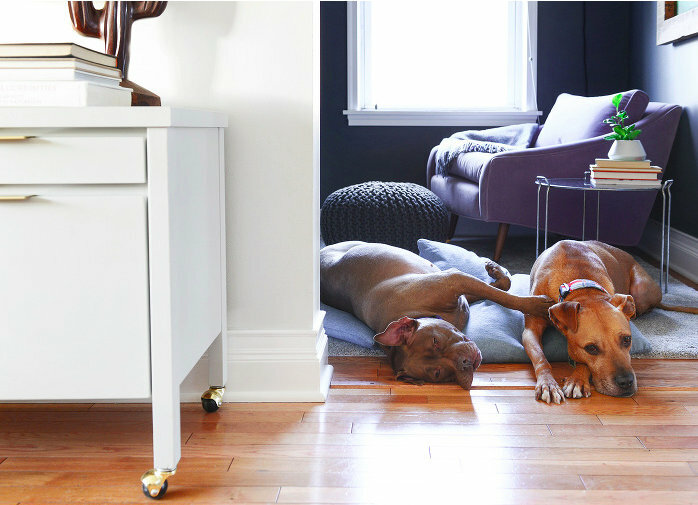 Living pretty with pets is possible… we promise! 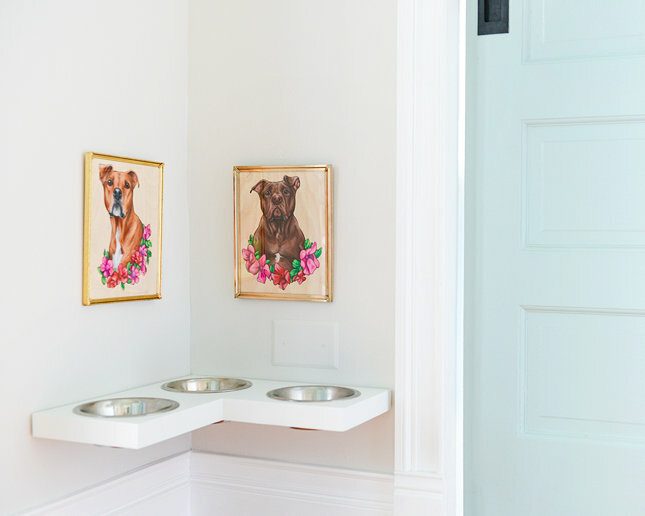 These five projects will give you the inspiration to get started incorporating your pet’s must-haves while not compromising your home’s style. We bet your guests will think so too.